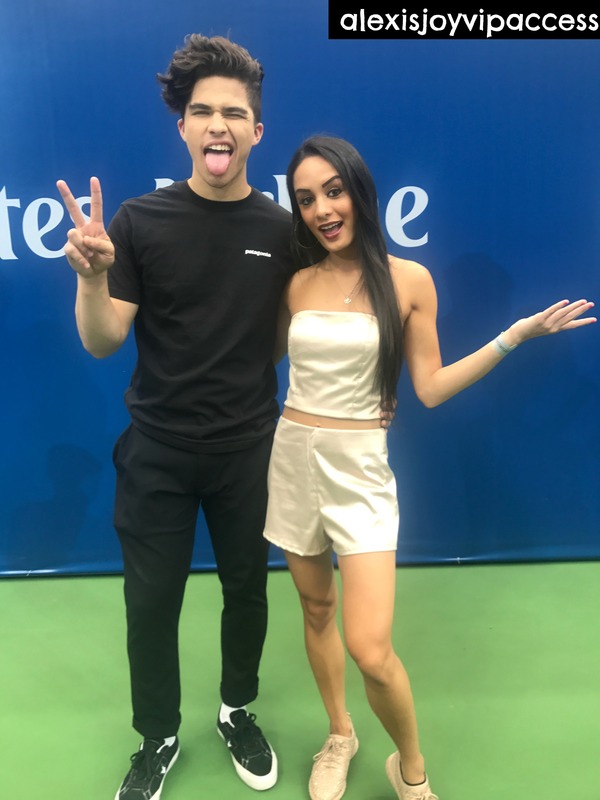 VIPAccessEXCLUSIVE: Singing Phenomenon Alex Aiono Interview With Alexisjoyvipaccess At The 2017 Arthur Ashe Kids’ Day! Name the one musician who could always blow you away with his incredible, music projects. The remarkable singer whose talent is unrivaled. The spectacular artist who mesmerizes everyone with his outstanding songs and breathtaking, live performances. There’s no question about it, the person that instantaneously popped up in everyone’s mind is the one, the only, Alex Aiono. No words will ever be enough to describe just how brilliant Alex Aiono is. He’s a phenomenal singer who won over the hearts of fans within nanoseconds with his extraordinary covers he shares on his YouTube channel. Each and every one of Alex Aiono’s covers always go viral – from his mashup of “One Dance” and “Hasta El Amanecer,” which was all the rave and was the trending topic on every social media network you could think of, garnering over a whopping 58 million views and counting, to other excellent covers such as his “I Spy” cover, his “Black Beatles” cover and many others. Alex Aiono’s awe-inspiring vocals combined with his terrific talent for producing his own beats make you love and appreciate the song he’s covering even more and be mesmerized by the amazing way he’s able to add his very own twist to the hit song. Aside from making our week even better whenever he releases a new video on his YouTube channel, we all also love listening to Alex Aiono’s amazing, original songs. Alex Aiono has released two, hit singles titled “Question” and “Work The Middle,” and needless to say, you can totally count on us listening to those songs on constant repeat. Alex Aiono’s songs have such magnificent beats and rhythms to them and of course, his stellar, singing voice is something we all enjoy listening to endlessly. Alex Aiono has also been in a new city each day performing for thousands and thousands of fans. The marvelous singer continues to show that the stage is where he is meant to be and he always gives a superb performance. Seeing Alex Aiono live in concert is definitely an unforgettable and life-changing experience. A singing sensation, an awesome YouTuber, a fantastic actor (who else totally fangirled watching him on AwesomenessTV’s Royal Crush?!) – what’s not to love about Alex Aiono?! It’s clear to see that Alex Aiono is making a great impact in everyone’s lives through his music. Despite his massive success, Alex Aiono continues to be so down-to-earth and genuine, yet another one of the many reasons why this hard-working musician deserves all of his successes. With a highly-anticipated, new single coming out on September 15th and many more projects up his sleeve, Alex Aiono is continuing to establish himself as a profound musician and a household name. I, Alexisjoyvipaccess had the great honor of covering the 2017 Arthur Ashe Kids’ Day again and had an excellent time catching up with and interviewing the multi-talented Alex Aiono again at the event. Alex Aiono dished exclusively to Alexisjoyvipaccess all about his new single coming out on September 15th, what his favorite song is to perform in front of all of his fans, what it was like working on AwesomenessTV and Invisalign’s “Made To Move” short film, and so much more only in our VIPAccessEXCLUSIVE updated interview. Alex Aiono even took on a fun speed round and showed us all his best tennis player pose, revealed which tennis player he would verse, and more – hear what he had to say in our VIPAccessEXCLUSIVE updated interview below. Thanks for another fun interview, Alex! Check out my VIPAccessEXCLUSIVE updated interview with the prolific musician, Alex Aiono at the 2017 Arthur Ashe Kids’ Day below! Previous VIPAccessEXCLUSIVE: Why Don’t We Interview With Alexisjoyvipaccess At The 2017 Arthur Ashe Kids’ Day! Next VIPAccessEXCLUSIVE: Jack And Jack Interview With Alexisjoyvipaccess At The 2017 Arthur Ashe Kids’ Day!